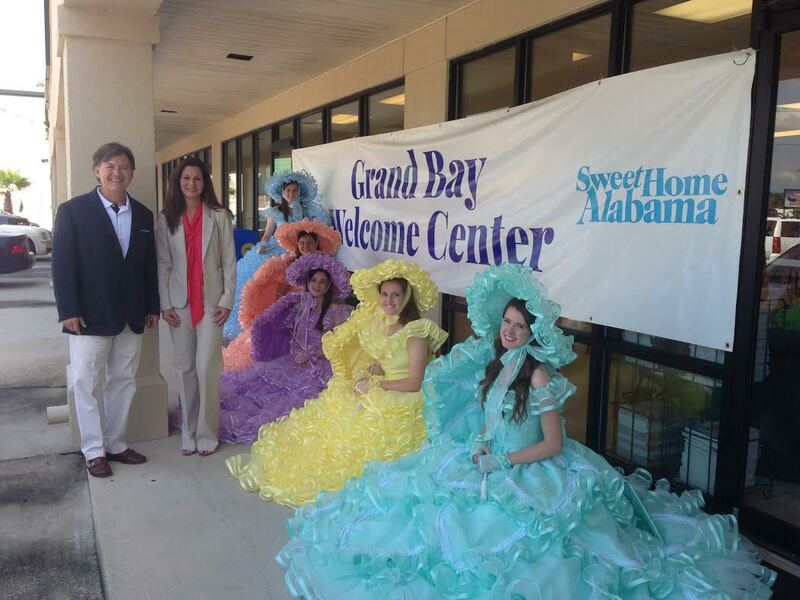 The Regional Tourism Council, organized by Coastal Alabama Partnership, has been instrumental in working with the Alabama Tourism Department to facilitate the opening of a temporary facility for the Grand Bay Welcome Center. A new welcome center is under construction along I-10 near the Alabama-Mississippi state lines. The temporary site is located in Theodore just off U.S. Hwy. 90 and is expected to remain there for the next two to three years. Last year, some 1.6 million visitors stopped at the Grand Bay Welcome Center. CAP President & CEO Wiley Blankenship with Lynne Brown, executive director of the South Mobile County Tourism Authority, and Azalea Trail Maids. Welcome Center Tourism Day on May 23. The council, with support from CAP, continues working towards common goals to advance the tourism industry in Mobile and Baldwin counties.